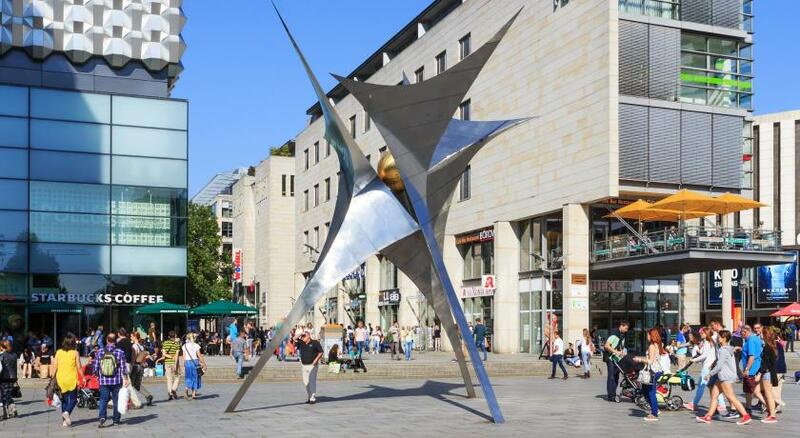 Lock in a great price for Holiday Inn Express Dresden City Centre – rated 8.3 by recent guests! Parking was fab, rooms were great (small but cozy, great beds, amazing bathroom), very clean, reception was extremely friendly and helpful, decent breakfast. Overall for price - great hotel!!! Excellent location and comfortable bar for a drink at the end of the day. Great location for Christmas market.Hotel was clean and breakfast excellent. Clean, comfortable, new rooms. Great location for setting the sights, with plenty of great restaurants and shopping nearby. We enjoyed our stay! Very nice hotel, easy to check in and out, room was comfortable, big, nice modern decor with excellent bed. The location is excellent only a few blocks from all the attractions and 10 or 15 min nice walk to train station. From train station to hotel you walk on the main street, no cars and nice shops. new suite. best lacation. staffs are very nice. good breakfast. Holiday Inn Express Dresden City Centre This rating is a reflection of how the property compares to the industry standard when it comes to price, facilities and services available. It's based on a self-evaluation by the property. Use this rating to help choose your stay! One of our top picks in Dresden.Centrally located on Altmarkt Square, this hotel in Dresden offers soundproofed rooms with tea/coffee facilities, a breakfast buffet, and underground parking. The reception is open 24 hours a day. The Holiday Inn Express Dresden City Center has air-conditioned rooms with flat-screen TV, safety deposit box, and seating area. Wi-Fi is available throughout the property free of charge. Guests can enjoy breakfast in the Holiday Inn’s classical-style dining room. Fine drinks and liqueurs are served in the elegant bar. 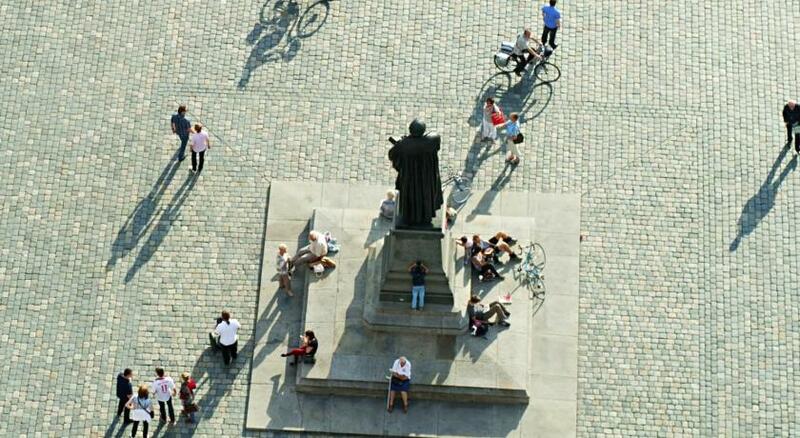 The historic Frauenkirche Church is only a 10-minute walk from the Holiday Inn Express Dresden City Center. The Prager Straße tram stop is directly opposite the hotel. 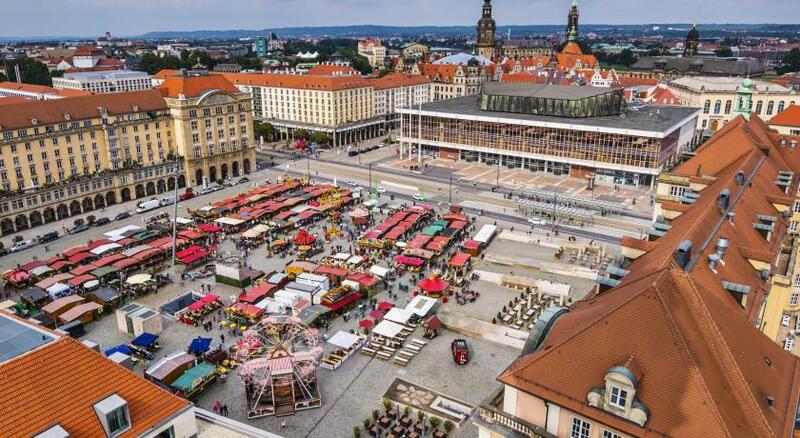 When would you like to stay at Holiday Inn Express Dresden City Centre? Comfortably furnished rooms with elegant carpeted flooring, modern bathrooms and a flat-screen TV with satellite channels. Please note that bed configuration (double or twin) will be allocated upon arrival, subject to availability. These comfortably furnished rooms have elegant carpeted floors, modern bathrooms and a flat-screen TV with satellite channels. This room can accommodate 2 adults and 2 children (up to 17 years old). Please mention whether you are bringing children and their ages in the comment field when booking. Hotel surroundings – This neighborhood is a great choice for travelers interested in churches, museums and history – Check location Excellent location – show map Guests loved walking around the neighborhood! House Rules Holiday Inn Express Dresden City Centre takes special requests – add in the next step! Holiday Inn Express Dresden City Centre accepts these cards and reserves the right to temporarily hold an amount prior to arrival. Guests traveling with children are kindly asked to contact the hotel in advance to confirm their ages. Please note that the hotel's underground car park has 25 parking spaces. These are assigned on arrival subject to availability and can not be reserved in advance. Please note that a city tax is applicable for this property and is not included in the room rate. This fee may vary. Please contact the property for further details. Please note that until autumn 2020, constructions are being carried out next to the hotel. Due to soundproofed rooms, no disturbance is expected. Location, location, location and breakfast. The Altstadt is right at your fingertips as well restaurants, etc. Room too small for price, room cleaning not as good as one would expect. Matter left on floor one day, tissues not replaced another. Needed more milk sachets - had to ask for extra at reception each time. Our rooms hasn't been ready on arrival at 14:00 which is official check-in time, been told by reception to wait for 5-10 minutes, after 15 minutes of waiting our room wasn't still ready and we been told it will take another 20 minutes, reception don't even really apologize and do not even offer us any refreshments, after I started complaining and asking for manager, as we were not happy with this situation, receptionist started to apologize and offer us to leave our luggages so we can go have some refreshments out of the hotel. It wasn't really a nice experience on our arrival. Also there is huge building construction site behind hotel and builders start from 7:00, so I wouldn't recommend this hotel if you coming for nice holiday trip and I would strongly recommend to hotel management to add this like a temporary info for future visitors until construction works finish. Perfect location. Right next to bars and restaurants. Room was spotless and very comfortable. Staff very nice. Small but very quiet room, wonderful breakfast, everything is very close, inexpensive parking nearby across the street. For a family of 4, we were given a very small room with 2 beds in it. There was almost no space at all to move. Breakfast was meagre. Only 1 type of cheese, 2 types of bread, some cucumber n tomato slices, canned fruit salad, tasteless teas and coffees. Juice had more water than fruit concentrate. I reserved with breakfast based on the reviews from booking.com. unfortunately the breakfast was not worth the price. Would not rate it a 3 star hotel. Its mostly like the cheap hostels. The location was the only good thing. Breakfast was a bit basic but filled the hole. Make sure to get down early as it is a very busy place! Room a bit tight for a family of 4. Location. Easier to get around. Parking across road at a reasonable rate. Not exactly "in" the old town as we expected but very close! The beds were not comfortable. We felt springs poking through. The staff was incredibly nice and helpful. Very accommodating! Fairly simple breakfast- no hot food except for hard boiled eggs.